You are coming to Valencia and, in addition to getting to know the city, you may want to experience it from a different perspective, so we suggest several activities in Valencia. Learn to appreciate Valencian cuisine with our Paella Cooking workshop, discover the passion of flamenco dancers or “bailaores” in an unforgettable evening out with friends. 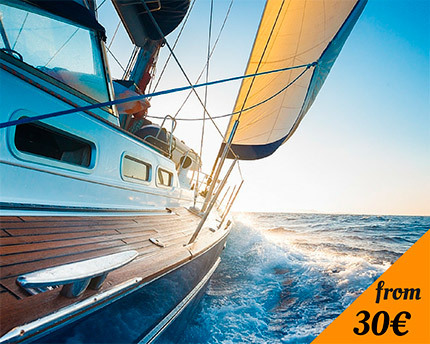 Enjoy the Mediterranean off the shores of the city of Valencia booking a wonderful catamaran shore excursion and explore Valencia’s old town on a horse carriage. Discover and enjoy the city with these activities in Valencia. 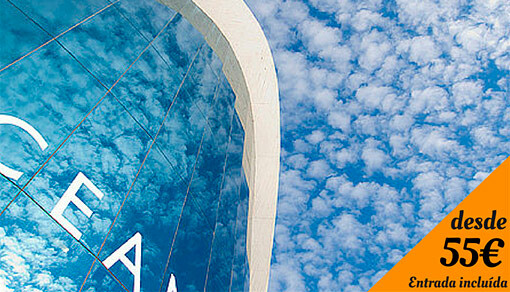 Today we suggest activites for you in Valencia. If you want to know much more about the city, check out our blog. 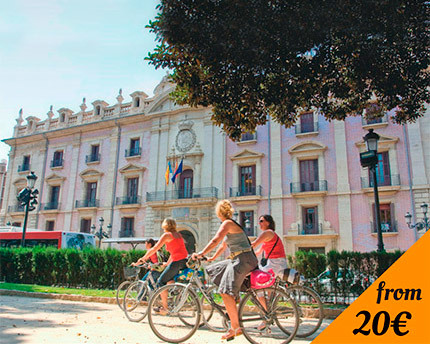 The excellent climate make Valencia one of the best Spanish cities to visit by bike. We will ride through the Gardens of the river Turia until we reach the City of Arts and Sciences. We propose several options to discover Valencia. One of them is hopping on a horse-drawn carriage for a guided tour of the city. 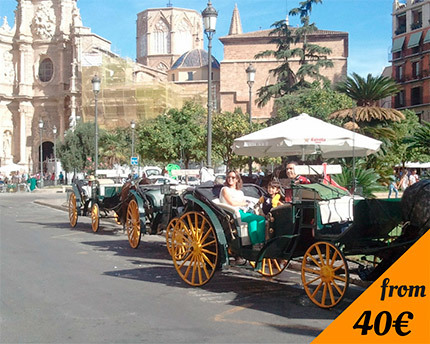 Enjoy a relaxed tour of the old city while an Official Guide of Valencia explains the history of the city and its monumental areas. If you like flamenco and want to have a pleasant evening, this event is perfect for you! 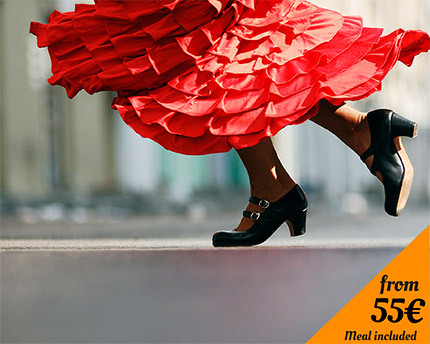 After a delicious meal, you will enjoy a live flamenco show. After a busy day in the city, nothing better than enjoying a catamaran ride and admire the sunset on the sea. If you prefer, you can spend all day surfing and anchor a few miles from the coast for a swim. This activity can be organized for groups and individuals. In the region of Alicante, south from the city of Valencia, is the Mariola Sierra Natural Park, where we will carry out this activity. 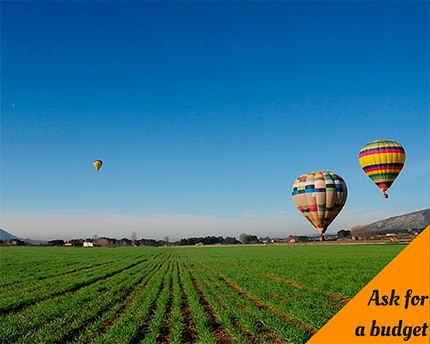 We will contemplate the Valencian Region from the air while enjoying a charming ride in a hot-air balloon. This can be organised for groups, as well as for individuals.